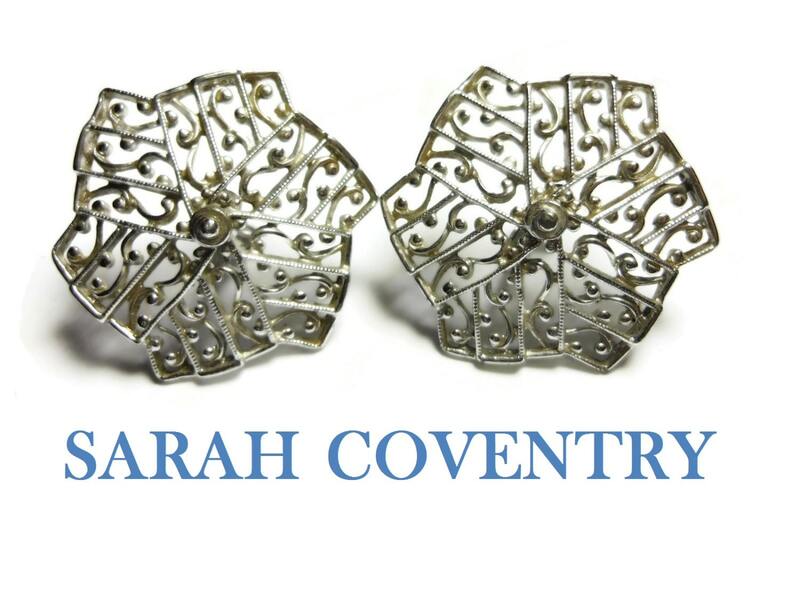 Sarah Coventry earrings, 1961 Lady of Spain collection, lacy filigree open work, silver tone, snowflake pinwheel look, large statement clips. 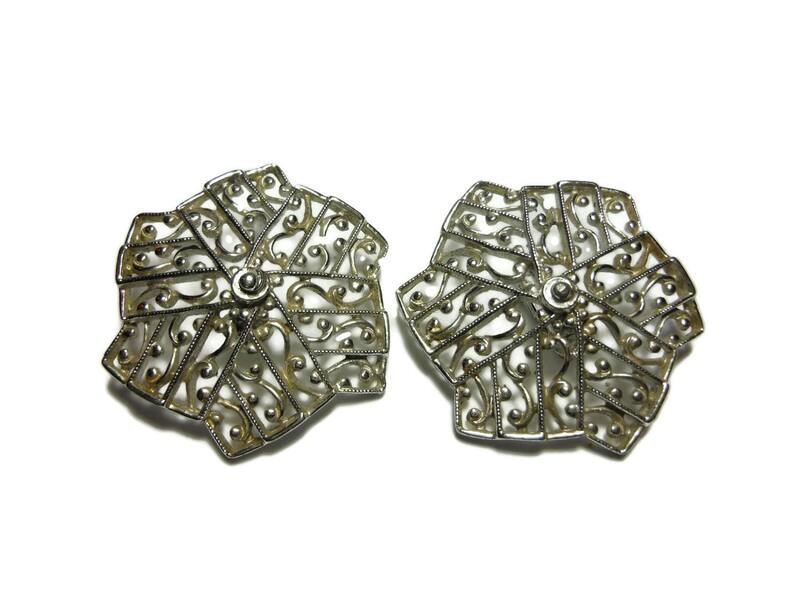 Make a fashion statement with these earrings! 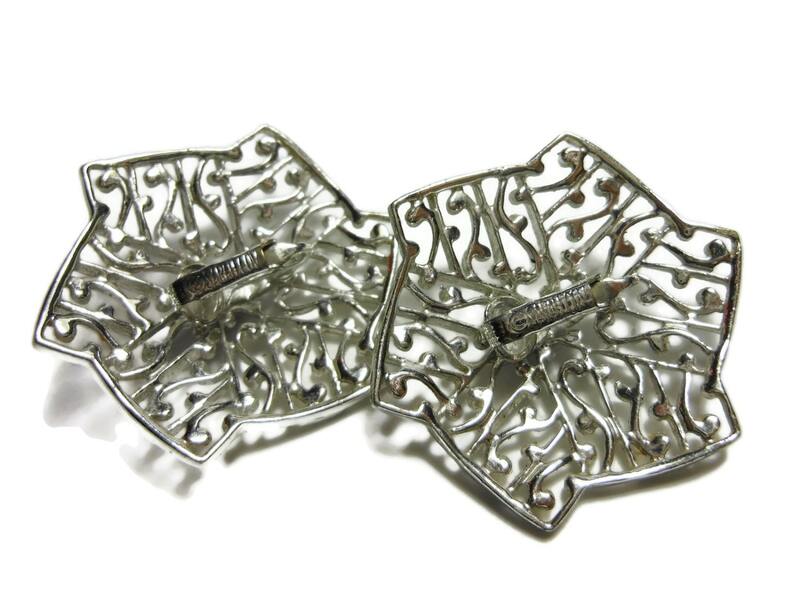 Would looks especially nice with holiday outfits! 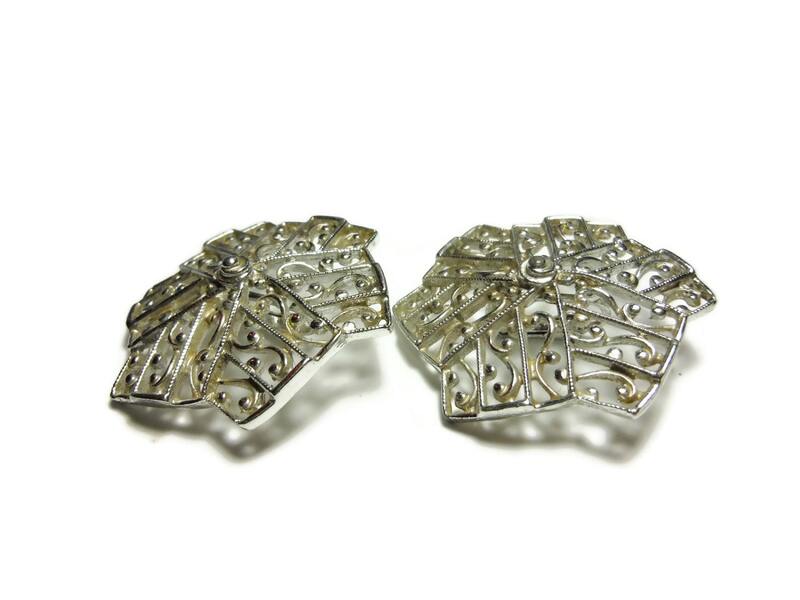 They measure 1 3/4" in diameter and are in very good vintage condition.